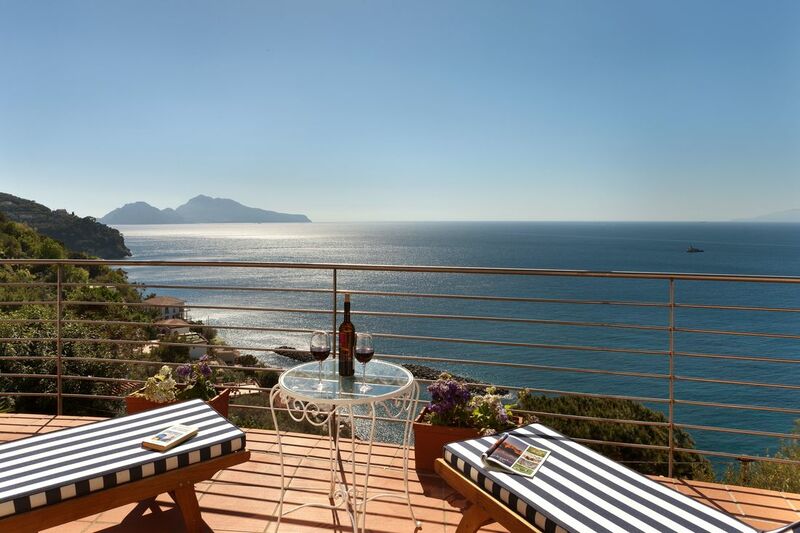 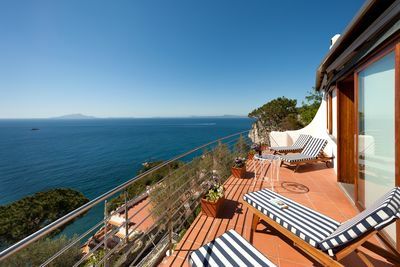 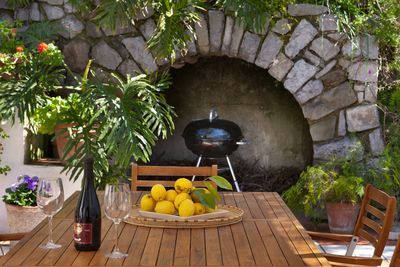 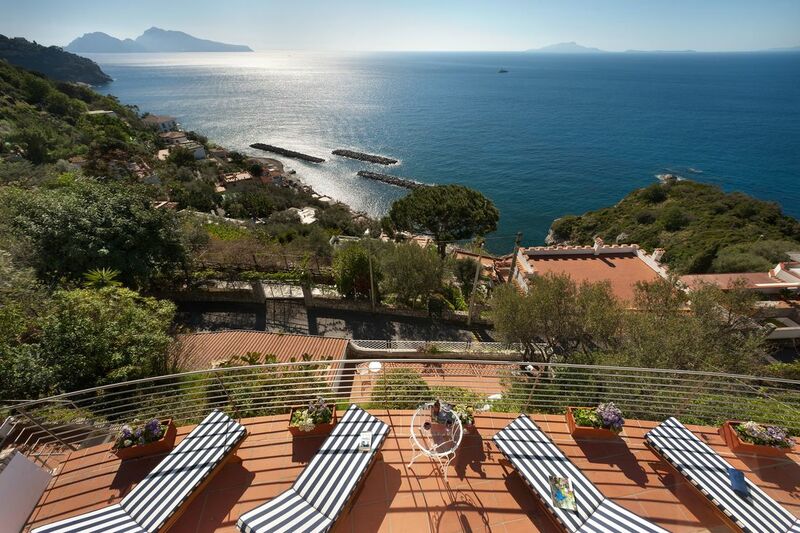 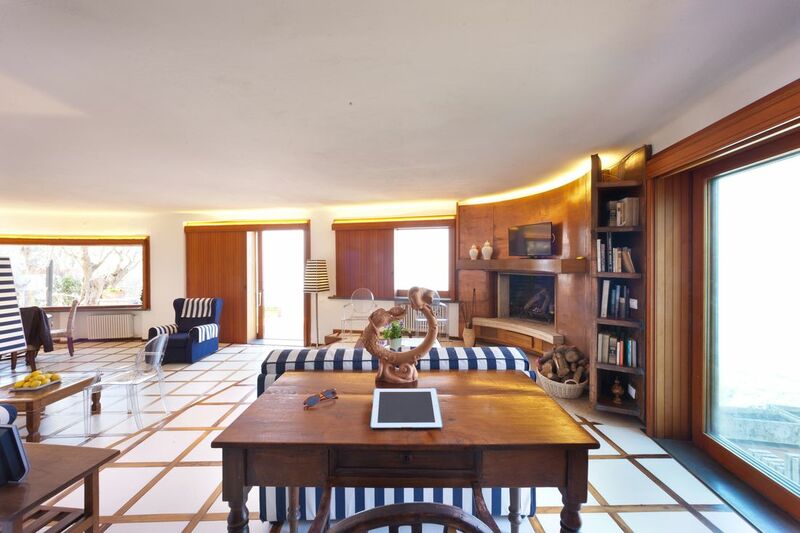 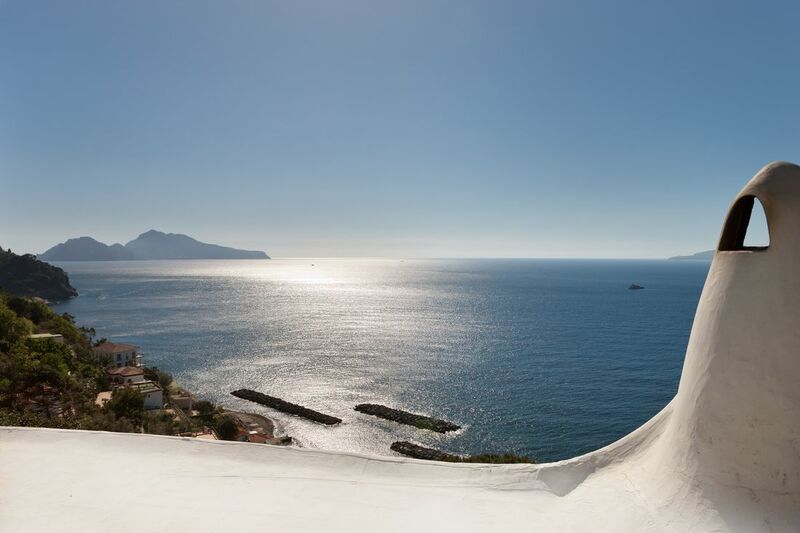 Villa Oleandro is a 4 bedroom two leveled villa situated in an exclusive residencial area in Massa Lubrense, just 4 km away from Sorrento in a very peaceful area surrounded by the Mediterranean Sea. 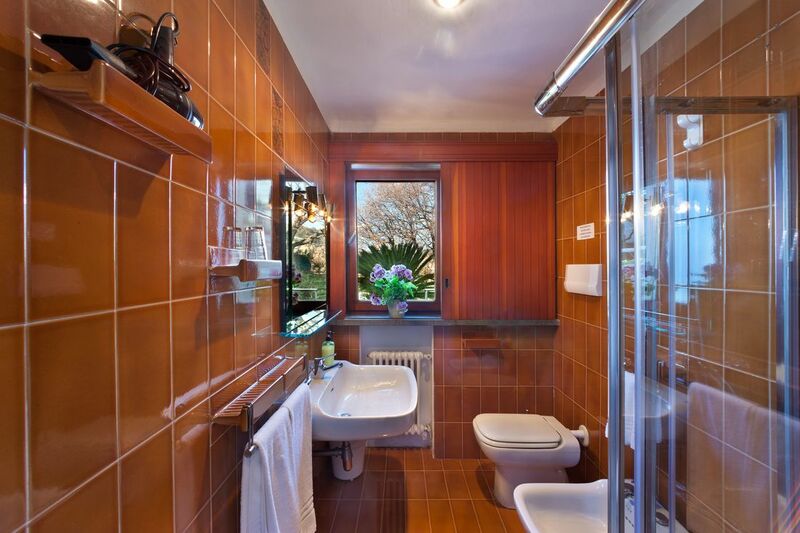 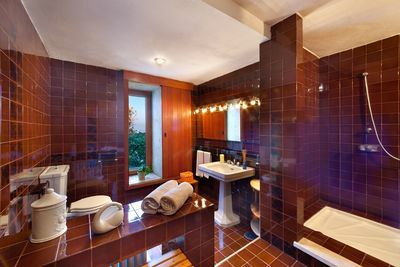 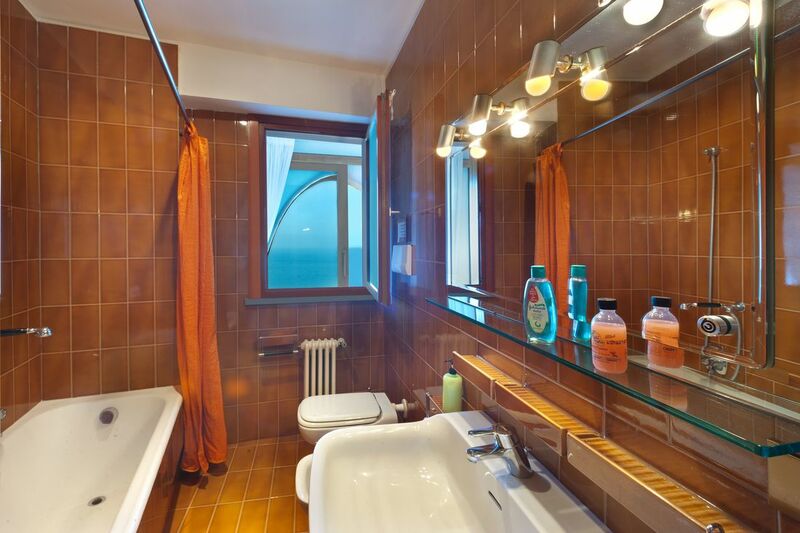 Two of the master bedrooms have en-suite bathrooms and two bedrooms share a bathroom. 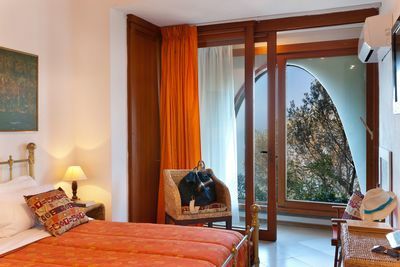 One of the master rooms also has an extension with one small bedroom with two single beds for children. 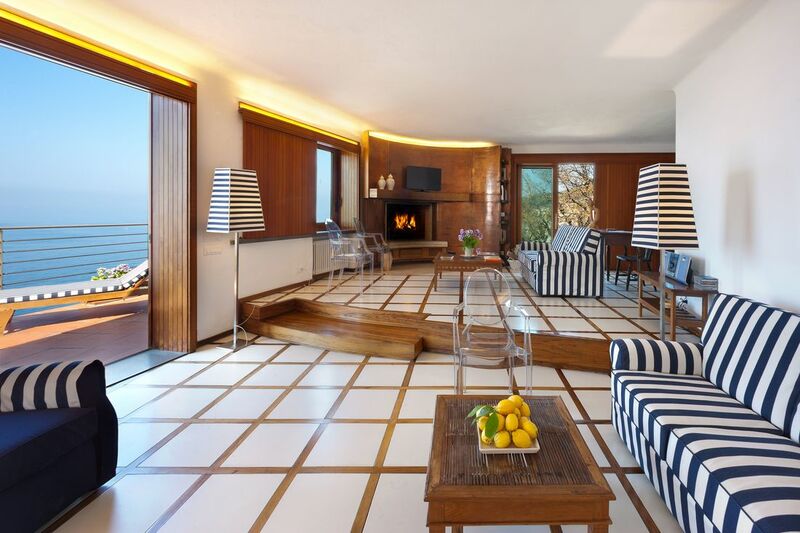 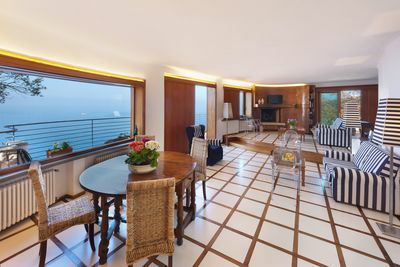 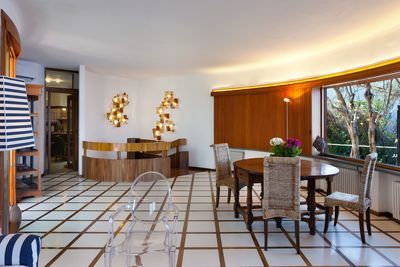 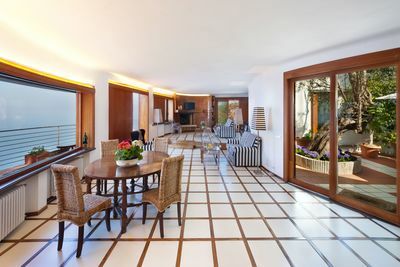 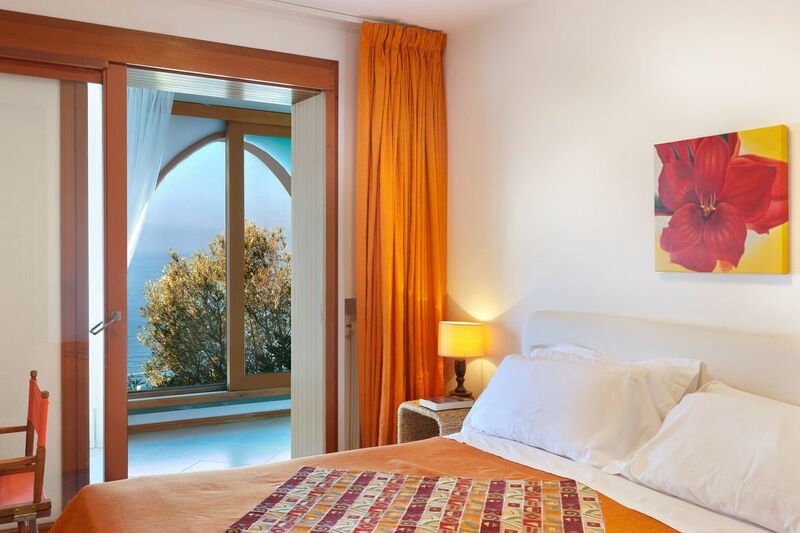 The family/living and dining room is extremely large, spacious and bright with wall to wall large glass bay windows looking out to an amazing views of the sea, the famous Capri Island and the Gulf of Naples. The villa can host 6 to 8 guests. 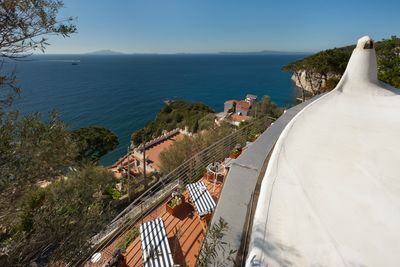 There are restaurants and bars very close by. 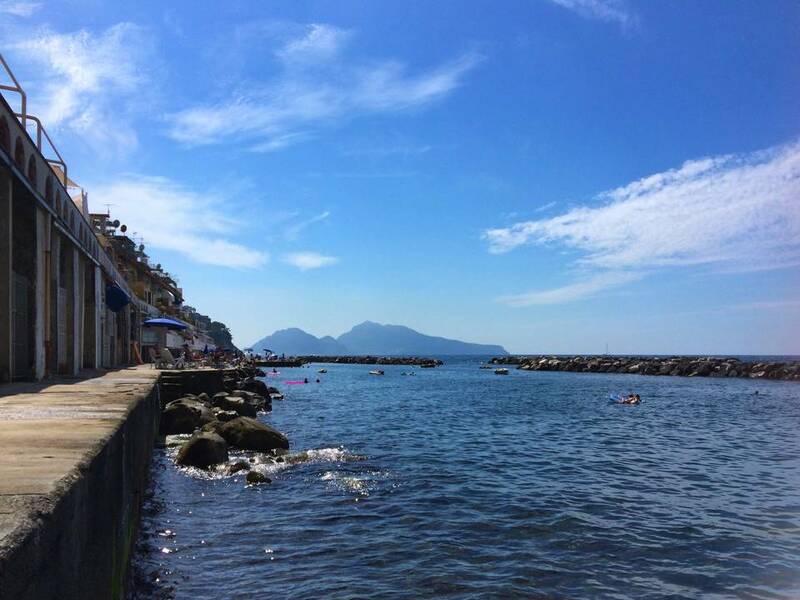 You may take a walk down to the sea. 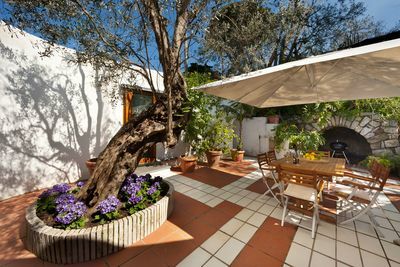 The villa has a private covered parking space on the street level. 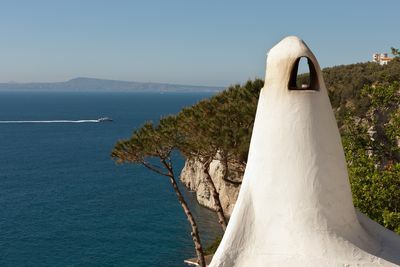 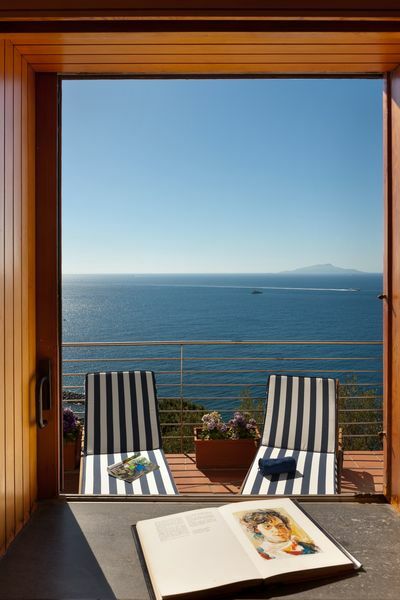 The entire villa offers Amazing Views! 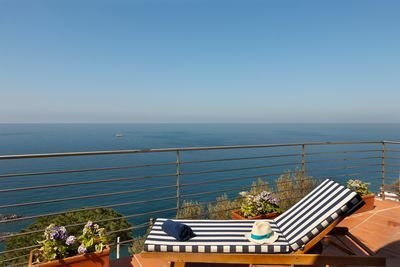 There's a bus stop just a few minutes walk from the villa, from where you may take a bus to Sorrento and the surrounding towns all along the Amalfi Coast line. 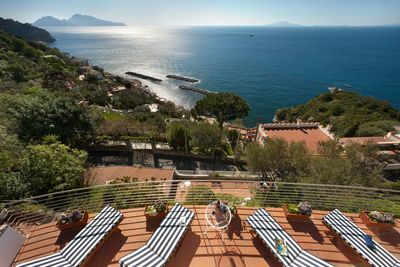 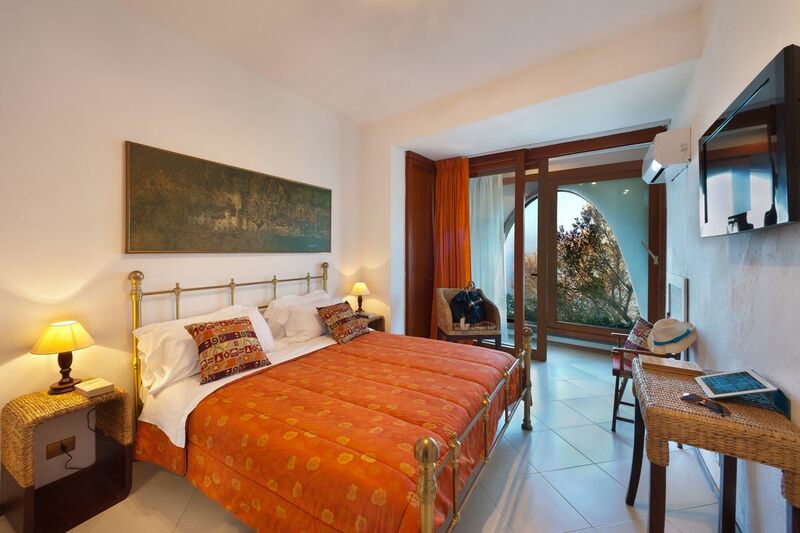 Once you are in Sorrento you may take the train to the well known archaeological sites of Pompeii, Ercolano and Paestum, as well as the famous city of Naples. 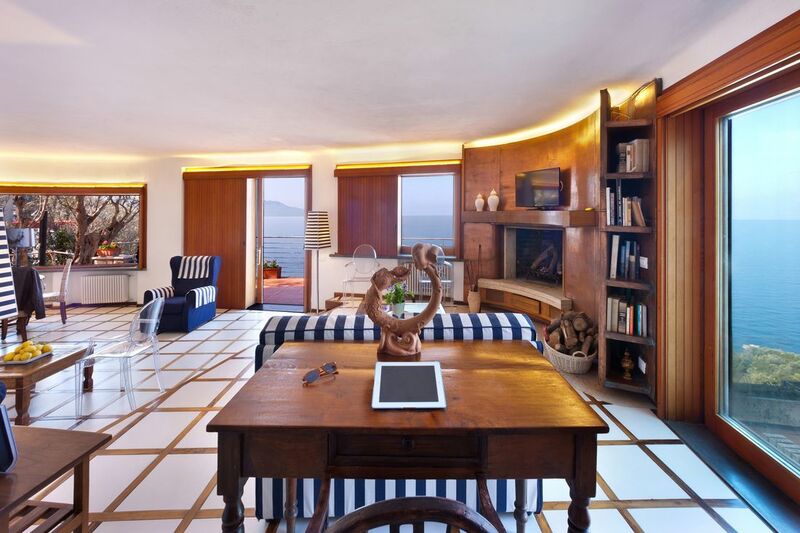 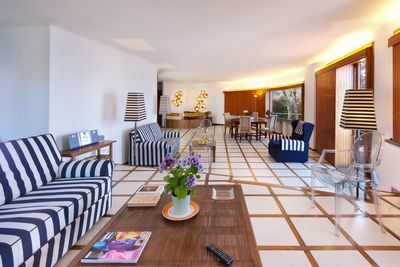 Villa Oleandro offers very large spacious areas indoor and outdoors. 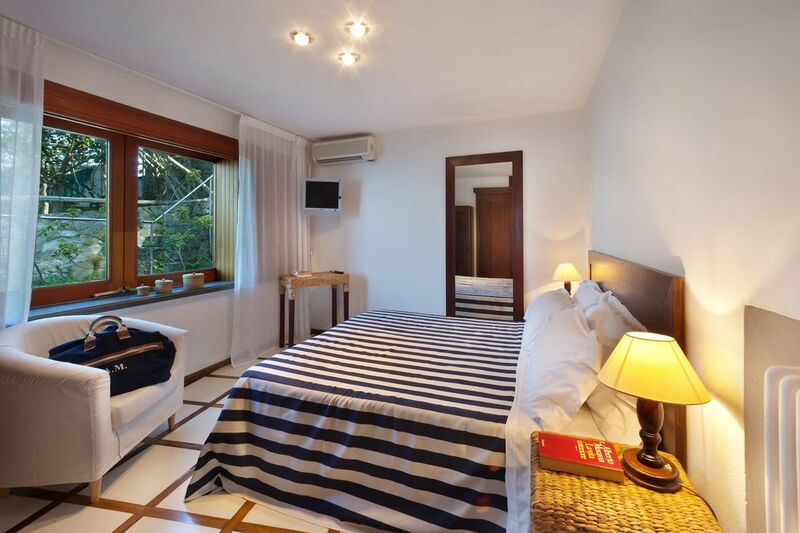 - Kitchen is fully equipped with dishwasher, refrigerator, freezer, stove range and oven. 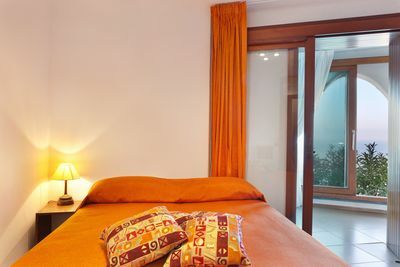 -Flat screen TV in all the bedrooms and living room. 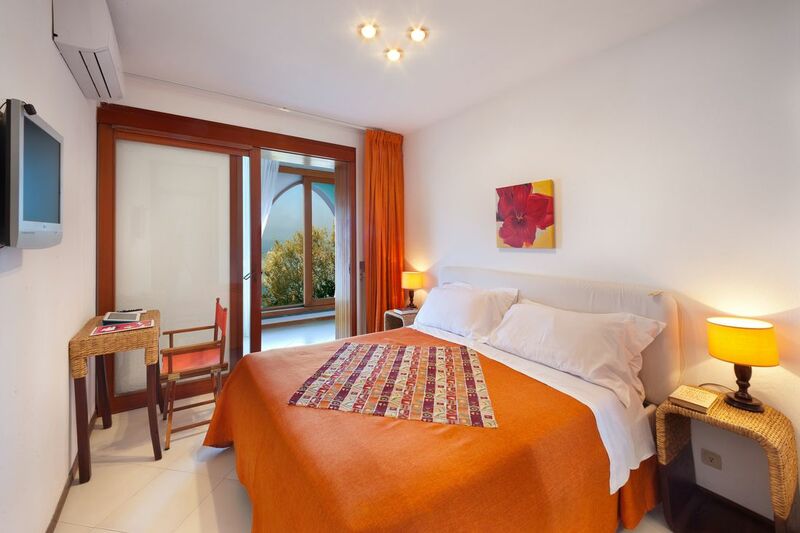 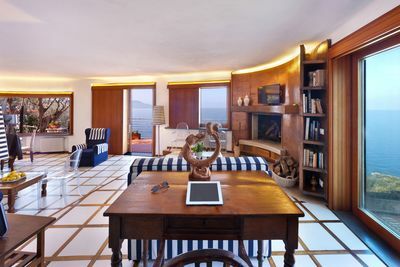 - Free Wi-Fi access throughout the Villa.